In 1997, I started my own mystery shopping business. One day, I was lucky enough to meet Canadian Tire dealers in Montreal, who gave me the opportunity to set-up a project, to evaluate and train their employees. 20 years later, my company (C3 client Satisfaction) runs multiple programs for companies across Canada to the United States. 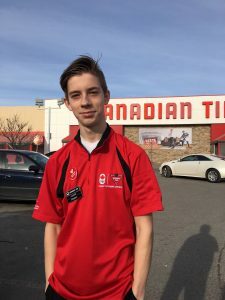 Today, it’s my son Léopold’s turn to join the Canadian Tire team as a floor clerk.